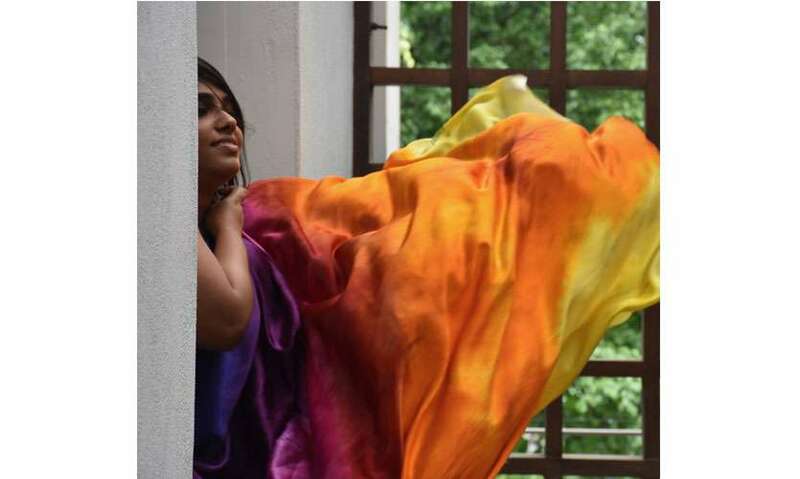 Sapthika Jacob is a designer who is exploring the world of color in a very deep sense. Launching Swairii; a brand of exclusive hand dyed saris, she takes her customers on this exploration with her, experimenting with color combinations and its application and intensities. 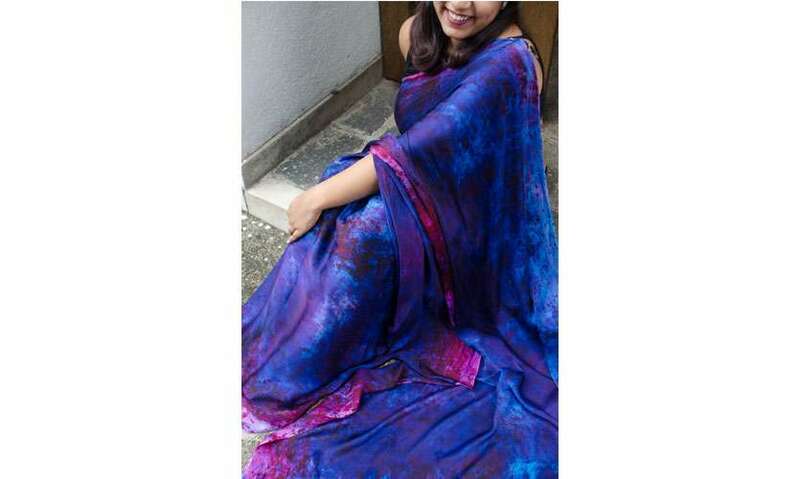 I currently create custom made, hand dyed silk saris. Each sari is hand dyed by me and is not outsourced. I try to make each design a collaboration between the customer and myself as a designer. I don’t mass produce or stock up multiple pieces of a design. I am a firm believer that a classic piece cannot be mass produced or done in haste. A masterpiece demands time, effort and soul which is what makes every Swairii Sari a classic. How do you engage your customers in the design process? I encourage clients to think of colours that would best represent them as a person. This is what most clients find intriguing and it is this thinking process that differentiates a Swairii Sari from a Sari bought off the shelf; the fact that the six yards become a personal, stylistic reflection of the wearer. I had a client who said she “loved this therapeutic approach”. 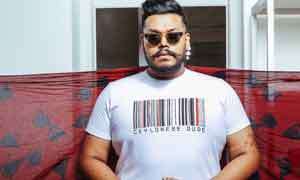 In a world where visuals consumed off social media cloud and distort an individual’s sense of identity, it is almost a form of rebellion to embrace and embody your true self. The need to “stand out in a crowd” is a constant battle between embracing one’s true identity and caving into a convention, where the latter wins most often. Your favorite sari creation to date? Ceyx – Gaia Kodithuwakku, Fitness, and Social Media Personality approached me with the colours cobalt blue and black. Having followed her on Instagram and witnessing her transformative fitness journey and the difference she makes in a lot of her clients, I felt the combination of blue/black was too common and needed a little “oomph”. Consequently, I stumbled upon a post on Facebook about the very rare, Oriental Dwarf Kingfisher (scientific name Ceyx) whose feathers are blue and black but has a body of an array of warm colours. I switched in the design, left the body predominantly blue and black and left the fall moving into the all the resplendent, warm hues seen on the Kingfisher. 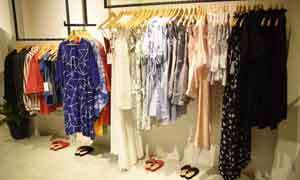 Why did you decide to focus on this niche of dyed saris? Hand dyeing possesses this inherent beauty and dynamic nature that makes every sari a stand-alone masterpiece; no two saris turn out the same. I could repeat a colour combination for two clients, but the intensity of colour, its application and how the colours move into each other often turns out to be very different. My love for dyeing stems purely from an immense love for colour. I use the term “hand dyed” instead of “tie-dye” because I prefer not to restrict myself to a particular technique. To allow the fabric and the colours to form a relationship of their own is an integral part of my design process. How did you stumble upon the art of dyeing fabric and to what extent have you explored and studied the technique? I’ve always loved experimenting with colour and fabric. Since 2014, I’ve found my jittery hands dipping tiny pieces of remnant fabric in anything that had the potential to give or enhance colour - from rust to ice to coffee and even fruit rinds. The art of hand dyeing is a continual learning process and I believe it is best learned, hands-on. The exploration never stops; it shouldn’t. It’s a form of art where the artist must adapt to the unique relationships each colour forms on each yard of fabric. Theoretical knowledge allows little to no access to forming a dynamic relationship between the artist and a blank canvas of fabric. What does Swairii stand for? 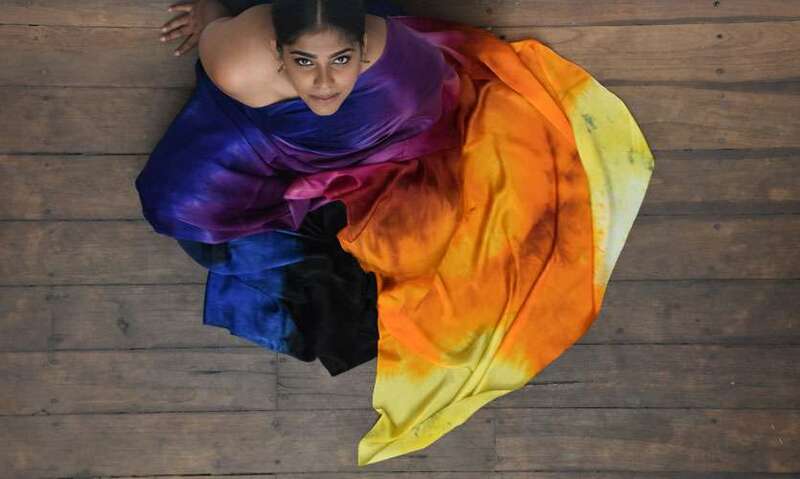 In its essence, Swairii is a brand through which I pay homage to the colour and contour of the contemporary Sri Lankan woman through customized, unique, hand dyed silks. 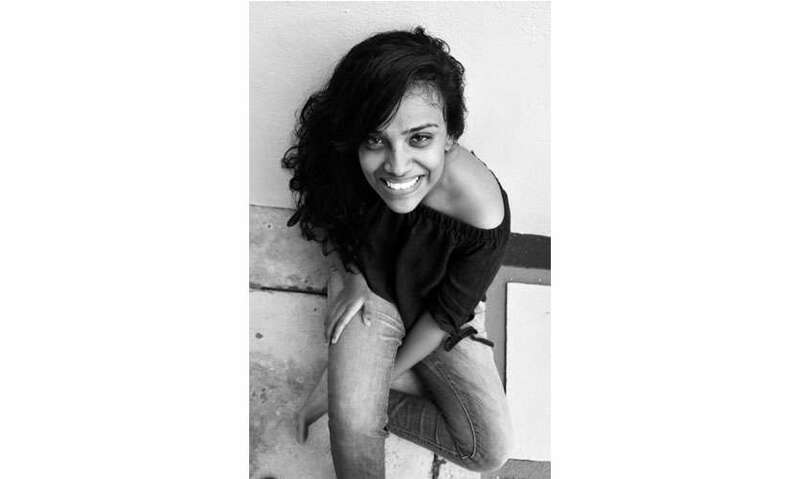 “Swairii” in Sinhalese means Independent, Self-willed and Unrestrained. A woman in a Swairii Sari is a portrait of power, independence, quiet strength, and self-will. Will the above be your chosen niche or do you plan to venture out of it? Although hand-dyeing will essentially be an integral aspect of every Sari, I do hope to explore avenues of embroidery, block printing, and other textile decoration techniques. The chosen avenue would depend entirely on the source of inspiration, the design and how I translate it to sync with the personality of the client. What are your immediate plans for Swairii? Alongside the custom saris, I am currently working on an exclusive range of Swairii Saris dyed with natural, plant-based sources, which I am excited about.